Sometimes you just need to spoil yourself. You know; go all out, make it rain and rub shoulders with the world’s 1%. Booking a Pablo Escobar like vacation minus the body count does just that! A few days of indulgence in an extravagant residence far away from your house in the suburbs and the station wagon in the garage – just you and your partner, with pumping waves backing on to your bedroom window is a fine way to spend your well-deserved vacay. If you’re interested in treating yourself, you’ll be interested in this article. Here are a few spots around the globe which house the crème de la crème of luxury surf resorts. 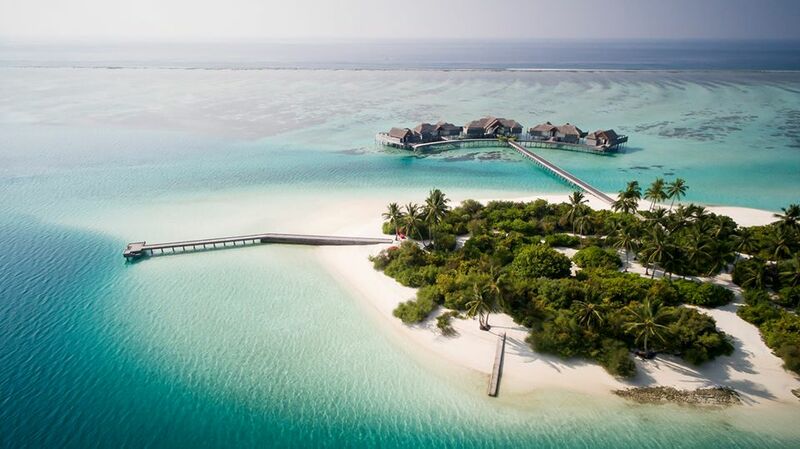 A 40-minute seaplane ride from the capital Malé will get you to the Niyama Private Islands. The plural ‘islands’ is not a typo, as two of them make up this isolated tropical paradise. Play allows you to frolic in the treetops and surround yourself in natural eye-candy. 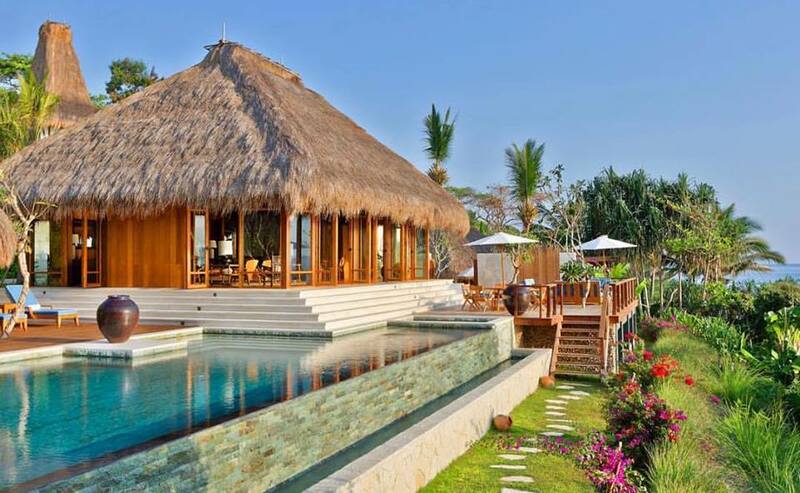 Villas sit on white sands for the likes of adventurous couples and stylish families. Nearby, at Achill, peaceful surroundings and turquoise waters will soothe your soul, while an underwater playground awaits on your ocean villa doorstep. 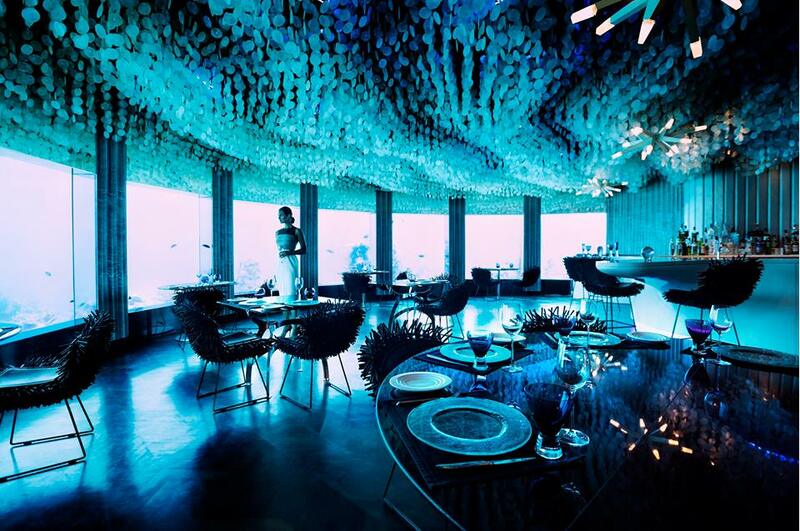 Subsix is the world’s first underwater nightclub and is owned and operated by Niyama Private Islands (no surprise the resort is rated #4 in the ‘Best Resorts in the World’ by Condé Nast Traveler). A speedboat and three-tier staircase will get you inside the club for what BBC Travel describes as “the night out you’ll brag about for years.” Beats will reverberate from the paned glass windows, which show off an intimate view of the swimming locals. And if the coral and natural landscape doesn’t do it for you, the chandeliers and world-class interior design will. 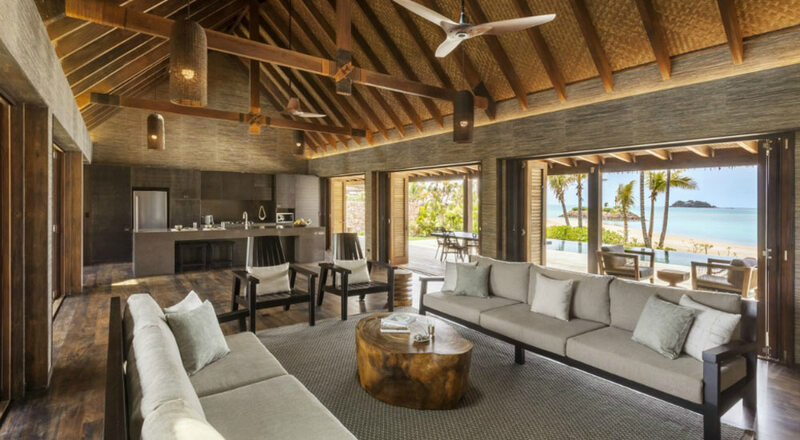 You can’t help but imagine a play-by-play of your day once looking at the images of Six Senses Laamu – the only resort in the Laamu Atoll, deep in the Indian Ocean. Waking from an afternoon nap alongside your own infinity pool, you’re stunned that reality seems more surreal than your own dream. Interior indulgence – a flat-screen TV, outdoor terrace, 5-star bathroom, and bedroom – is only trumped by the surrounding natural beauty. You feel a sense of calm from knowing you have 360 degrees of crystal blue ocean circling your abode. 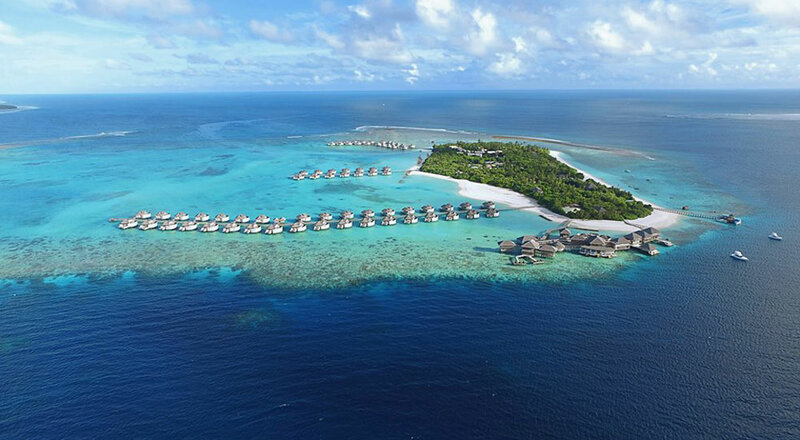 One of the Maldives’ most famous waves, Yin Yang, breaks just offshore Six Senses. Most of the time you’ll have it all to yourself, even in the peak season April to October (and from June to September, when the most ballsy swell hits). Yin Yang is hard to beat, but there are plenty more options in the area if you’re keen to mix things up. When Yin Yang in pumping! Laydays are fun too! Go for a night dive, try some windsurfing or sailing, or be ultra-indulgent with a private picnic on a local deserted island. At Six Senses Laamu, it feels like almost anything is possible. Prices for a night’s stay will tickle the $900 mark in peak season but booking in advance can save you a fair few pennies. Sumba is a remote island in eastern Indonesia. Most Indo travellers miss the region and miss out on one of the country’s jewels for local culture, serene nature, mystic wildlife and pumping surf. Nihi hosts Occy’s Left, which is one of the world’s most exclusive waves. It’s a powerful break with plenty of personality (much like who it’s named after, Aussie legend Mark Occhilupo). It’ll spit out 200-300m rides and can be an absolute thrilling wave with huge walls and heavy barrels. 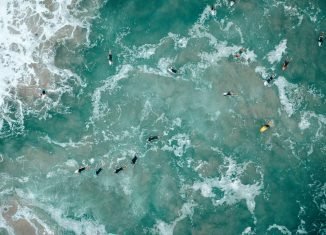 What’s unique, pleasing and nuts, all at the same time, is that the resort reserves the wave to 10 surfers per day (a sore point for some – but with a $975 price tag per night, it seems appropriate for Nihi’s guests). So don’t expect big crowds! There are several options to stay at Nihiwatu Surf Resort and it all depends on your personal taste and budget. Mamole Tree House is fit for fun-hearted, adventure-lovers. It’s literally an abode built around the trunk of a tree, boasting an open-air living room, private lounge overlooking a spectacular infinity pool, and balcony overlooking the ocean. Puncak is a private hilltop retreat, with everything a glamorous trip needs, including organic gardens, two plunge pools and open-air living room. It was a featured winner for PURE’s Best in Design in 2015 and the four-bedroom estate lives up to its merit. Wamoro can be found tucked away in the trees in complete peace and quiet. With your own private lounge and huge swimming pool, Nihi gives you your own jungle hideaway. One of the sister resorts to Six Senses in the Maldives is the stunning Six Senses Fiji on tropical Malolo island – where bliss is handed to wet and dry adventurists. Forming part of the Mamanuca, 25 kilometres from Nadi International Airport, the impressive resort is lined with 24 huge private pool villas plus a range of much larger residences for groups. 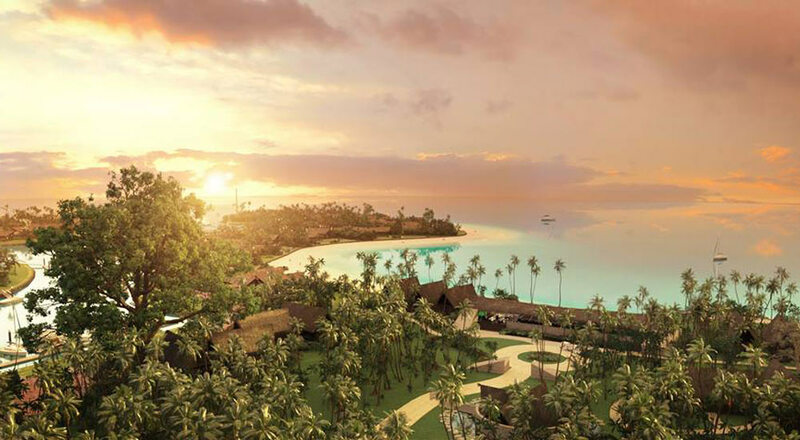 Six Senses offers a premium bar overlooking the glistening South Pacific Ocean, huge fitness centre, tradition-inspired spa, and yoga pavilion that would stretch the smile of the most zen pamper-lover. Parents will be stoked with the family-focused regime. Included in your stay is access to a surf academy, meditation and wellness (even for the kiddies), babysitter, kids club and even an in-house nurse. The resort also has glamourous green credentials, as the group pushes their love of sustainability by using minimal packaging and maximum reusing, as well as one of the largest off-grid solar installations in the Southern Hemisphere. Their battle for the environment is just another reason we love the legendary Six Senses Fiji. Sometimes the ultimate luxury escape is found off the beaten track. 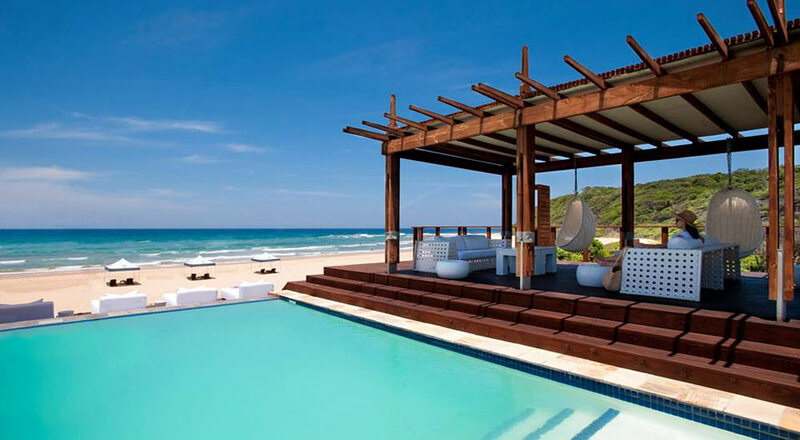 This is true for White Pearl Resort in the southern African nation of Mozambique. The resort sits next to the tranquil blue Indian Ocean in an undisturbed bay. Untouched beach, a neighbouring elephant reserve, captivating bush surroundings and five-star luxury sets the scene for what is guaranteed to be an experience you’ll crow about for years. White Pearl Resort is like no other in that it truly imitates its breath-taking surroundings. Built among dunes on timber stilts, there are 22 luxurious suites to find your serenity in, all the while knowing your host has conjured your abode with the fragile eco-system in mind. Rack rates are between $500 and $800 (all inclusive) from low to peak season; certainly affordable if you’re looking for your first high roller five-star escape. Nature will take you by the hand and show you the experience of a lifetime. You’ll be diving on one of the world’s top pinnacle reefs, touring the jungle on horseback or even just letting the fine sand massage your feet as you stroll along the protected shores. Booking a helicopter transfer from the airport will give you one unique view of the gorgeous coast and add even more weight to your pile of memories. 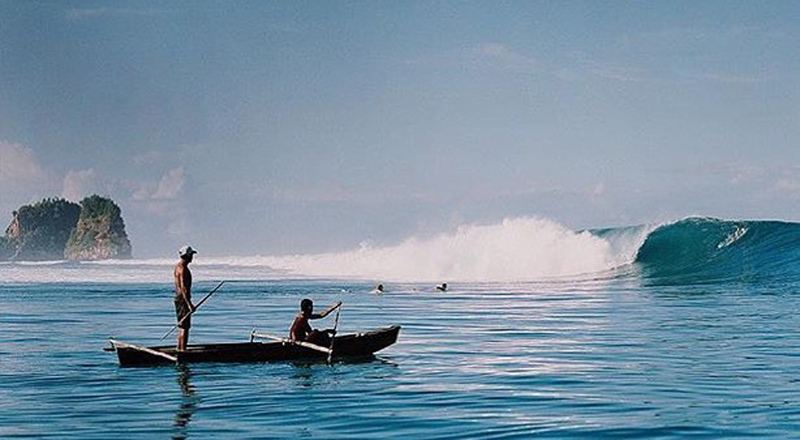 Surfing hasn’t always been for those with deep pockets, but it has been for those who like to live large. Combine the two, and you got yourself an (expensive) experience of a lifetime!